Sylvain Duez-Alessandrini, chairman of CSIA, Mustapha Boutadjine, artist, Mireille Fanon Mendès France, Frantz Fanon’s daughter and founder and chair of the Foundation, Edith Patrouilleau, vice-chairwoman of CSIA and translator, Lenny Foster, George Aguilar, Yaqui/Apache actor. 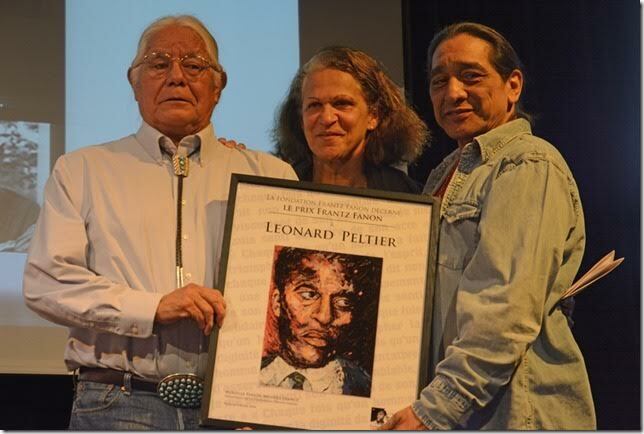 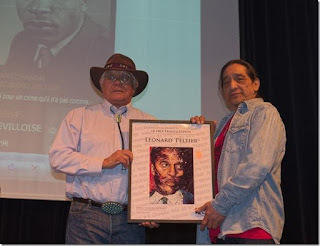 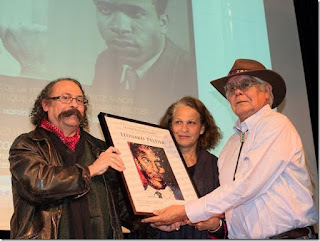 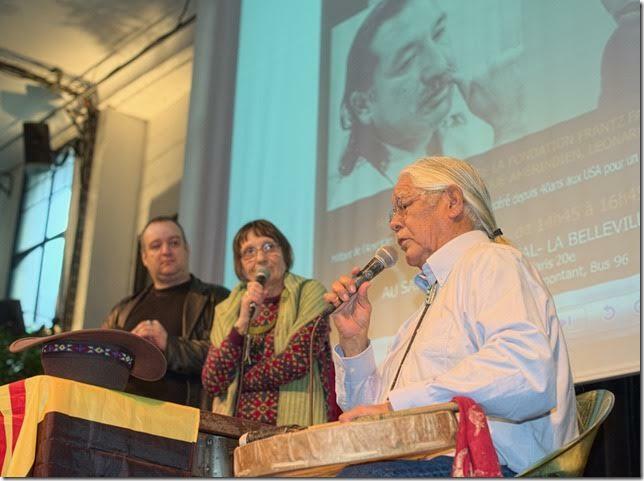 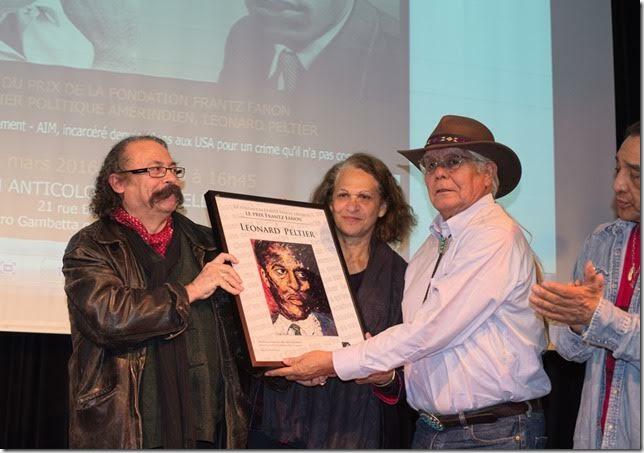 PARIS (Sunday March 6) -- Leonard Peltier was awarded with the Frantz Fanon Prize 2016. 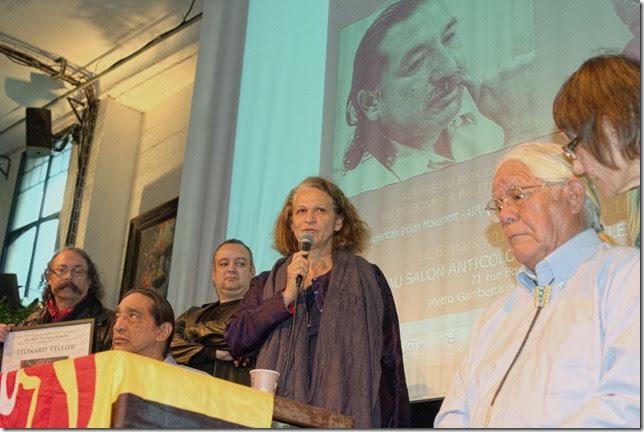 It happened in the context of the Anti-Colonial Week. Many people attended. 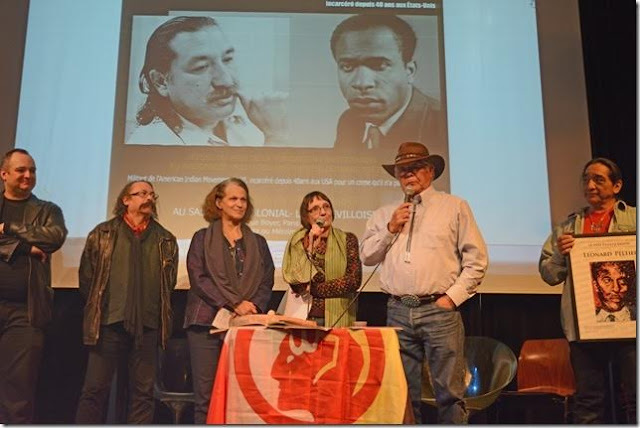 There were delegations from many countries and associations (Algeria, Morocco, Chiapas, Peru, Africa, homeless people, undocumented immigrants, against French policy in Africa (including uranium mining by AREVA), and many more). The prize was awarded by Mireille Fanon Mendès France, Frantz Fanon’s daughter and chairwoman of the Frantz Fanon Foundation, and the artist who designed the Prize, Mustapha Boutadjine, and received in the name of Leonard by Lenny Foster, Diné, member of the AIM, representing Leonard Peltier. 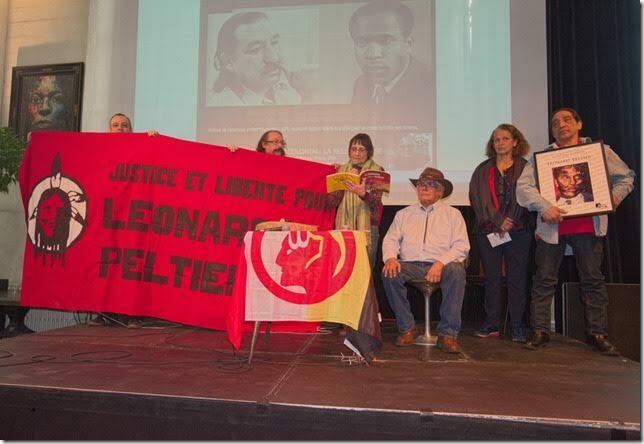 Mireille Fanon Menès France talked about the goals of the Foundation, about Leonard Peltier and the other political prisoners they support. Poems by Leonard were read and translated. 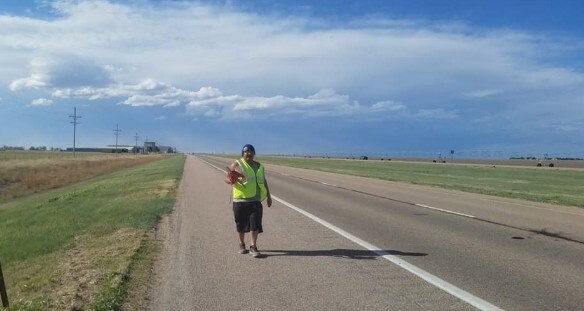 This time Leonard was not allowed by the prison’s authorities to record a statement, thus his statement was read by Lenny Foster, member of the AIM, representative of Leonard Peltier, and translated in French by Edith Patrouilleau, vice-chairwoman of the CSIA-nitassinan (Committee for Solidarity with the Indians of the Americas).